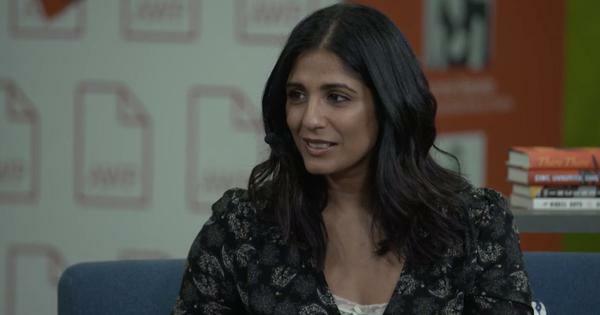 ‘The Golden House’ tracks a dysfunctional family that has moved from Bombay to the circle of fame and influence in New York. Veteran readers of Salman Rushdie (read the interview here) will recognise this tendency from the author’s body of work. Like Petya, Rushdie is a polymath. His books – and his lectures -– overflow with myriad allusions, digressions, and stories within stories, sweeping through eras, continents, and cultures. However, unlike Petya, who suffers from a crucial “flaw in the program,” Rushdie is the master storyteller in his latest book, never losing control over what is, ultimately, a suspenseful thriller. 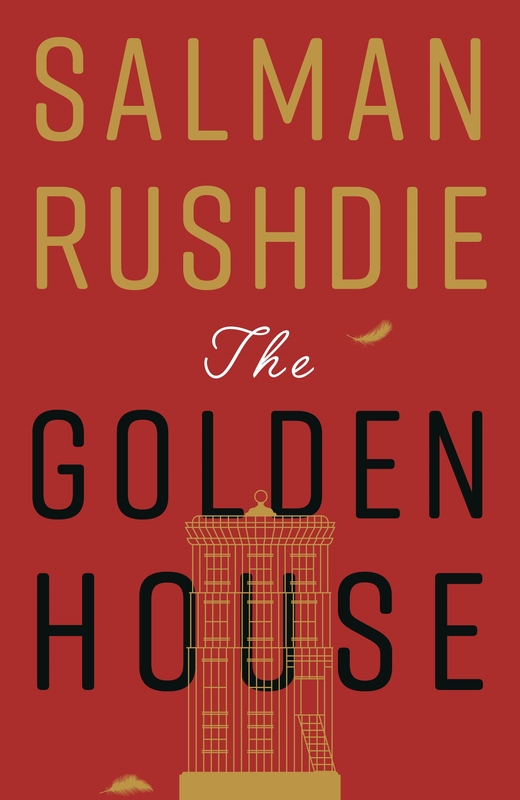 In The Golden House, Rushdie abandons the fantastical elements of much of his previous fiction, choosing realism over the magical realism for which he has become renowned. His return to realism may not be all that surprising in a novel that examines life in the United States in recent years. Actual events in America have proven to be so bizarre that the need to invent fabulous ones may have been eliminated. In any case, this book is set firmly in the real world – in contemporary Bombay and New York – the city of the author’s birth and the city where he now resides. Its present action coincides with the eight years spanning Barack Obama’s Presidential term. 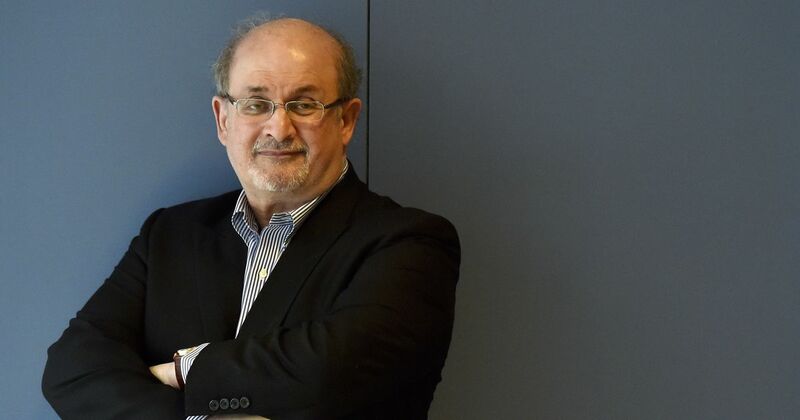 As in some of Rushdie’s earlier work, most notably Midnight’s Children, the story of individual characters runs parallel to that of a nation caught in the throes of transformation. The novel’s immediate setting is the Gardens, a grassy quadrangle in the heart of Manhattan that forms “an enchanted, fearless space” for the exclusive community that resides around it. It is in this idyllic space, where fireflies sparkle on summer evenings and children play freely, that our millennial narrator René lives with his liberal, academic, parents. At the beginning of the novel René is “just a young man dreaming of the movies.” He is, in fact, an aspiring filmmaker, in search of a subject. On the day of Obama’s first inauguration, an event marked by a sense of unbridled optimism across the city, the grand mansion that has lain empty behind the Gardens for years is finally occupied, by a wealthy foreign family who refuse to divulge any information about their previous lives. The family’s imperious patriarch, like many immigrants before him, seeks to reinvent himself in America. He christens himself Nero after the last of the Caesars, and his sons choose their own names – Petronius (Petya), Lucius Apulius (Apu), and Dionysius (D). The mansion itself is renamed The Golden House. Nero Golden shares many characteristics with another American literary hero – a mysterious past, unexplained wealth, decadent parties, a mythic property. Like Jay Gatsby’s guests, Nero’s new acquaintances try to fill the gaps in his narrative by spinning tales about him. René, who fancies himself as a modern-day Nick Carraway, makes several references to Fitzgerald’s novel. But unlike Gatsby, Nero is not alone. In a sense, this is a story of fathers and sons. Each of Nero Golden’s sons is idiosyncratic and distinctive. Petya, afflicted by high-functioning autism, is an incredibly intelligent and erudite but socially awkward man who spends much of his time inside his bedroom bathed in the blue light of computer screens. When he is not expounding on the many subjects that crowd his brain, he immerses himself in the virtual world of gaming. Petya’s manic conversations conceal a deep and endless suffering. The second son, Apu, is the artist in the family. Romantic and political, Apu becomes a successful painter and dabbles in activism before growing disillusioned with what he regards as liberal posturing and ineffectualness. He has a way with women, which places him and Petya firmly on the warpath. The youngest son, the beautiful, androgynous D, is forever the outsider. Born of Nero’s extramarital liaison with “a woman of no consequence” 18 years after Apu, D has never felt like he really belongs in this family. Tormented by his illegitimacy and plagued by questions about his sexuality, D is the first to leave the Golden House and find refuge elsewhere – in Chinatown – outside the cloistered precincts of the Gardens. There is something deeply tragic about each of the sons. Their vulnerability shines through at key moments. These are the most moving sections in the novel. Compared to the men, the women seem less vulnerable. From a relatively minor character such as the exotic Somali sculptor Ubah Tuur to the “astonishing” Vasilisa who presides over the novel, their physical perfection and power over men make them both magnificent and slightly removed from the reader. Even when they suffer – and they do suffer, often because of actions taken by the men – we rarely get inside their souls in quite the same way as we do with the men. At one point René makes a telling statement when he says, “‘The art of the cinema,’ Truffaut allegedly said, ‘is to point the camera at a beautiful woman.’” It is perhaps fitting then that our narrator is a filmmaker. However, this does not mean that the women are not interesting or indeed fascinating. And no one is more so than the one whose machinations change the destiny of the Goldens: the Russian émigré Vasilisa. At once goddess and witch, Vasilisa is seductive, manipulative, and ruthless. It is her all-encompassing ambition of living a life “worthy of her beauty” that propels the plot forward. In a book about immigrants, Vasilisa embodies the immigrant desire to start over. “The past,” she says, “is a broken cardboard suitcase full of photographs of things I no longer wish to see.” Contradicting forces for good and evil literally struggle within her soul. Again, this seems more mythic than human, but whether or not she will ultimately prove to be one or the other is one of the many mysteries the narrator will have to uncover. The auteur-narrator makes numerous references to movies throughout, and the influence of cinema, both on him and on the novel, is unmistakable. Like Jeff in Alfred Hitchcock’s Rear Window, René watches the Goldens – and other neighbors – from his home, overhearing noises and catching glimpses of scenes that hint at secrets and scandals. He soon discovers that the place the Goldens have fled is none other than Bombay. His research – and imagination – reveal that they left behind a city infested with corruption and crime, a world of underworld violence and international terrorism. “The worlds are less different than we pretend,” Nero tells him. Initially, René is only a witness, but soon he finds himself becoming a participant and getting further and further entangled in the events. Poet, philosopher, and chronicler, René serves as the conscience of the book. And while he is flawed and complicit in the events that unfold, he says, “Allow me this at least: that I am self aware.” That he is, and it makes him the most endearing character of all. Even though this is not a work of magical realism, the distinction between lies and truth is often blurred. The Goldens of course tell “stories about themselves, stories in which essential information about origins was either omitted or falsified.” The characters frequently betray each other. The structure of the book further contributes to the blending of lies and truth, as René begins to invent scenes for his film in progress. Several sections are written as script, with scenes dissolving or ending with the director’s cut, and the camera zooming in and out. Some include voiceovers and other stylised effects. At times it’s difficult to say what really takes place and what is invented by René. If you don’t know the truth, fellow filmmaker Suchitra tells him, use your imagination. Rushdie uses rants by minor characters on the streets of Manhattan, as well as observations by our protagonists, to explore the growing “discontent of a furiously divided country.” It is tempting to find the author’s own well-known views on certain topics in the characters, for instance, when Apu chastises “wishy washy” liberals for attempting to sanitise language due to political correctness, or when René defends his suspicion of organised religion. While much of this author’s prior work has dealt with political events, this book’s preoccupation with many of the burning issues of the day makes it particularly urgent and relevant. Of all those issues, the question of gender identity is especially prominent. The Museum of Identity where Riya works represents the quest for identity in general, but for D, this quest is very personal. “Come inside and learn about the new world,” Riya tells him. What follows is an education, mostly about transitioning and “gender identity, splitting as never before in human history, spawning whole new vocabularies that tried to grasp the new mutabilities.” Some of their dialogue on this subject sounds didactic, like an introductory lecture on the transgender community for a beginner, which of course is what D is. Nevertheless, the effect of this new education on him is profound and real and will eventually lead to the most poetic, moving section in the book. Rushdie’s prose is as always both dazzling and dizzying. Replete with clever wordplay and digressions, it includes allusions to Shakespeare, Greek tragedy, the ancient Chinese hexagrams of divination, the 1956 chess Game of the Century between Bobby Fischer and Donald Byrne, video games, superheroes, and Seinfeld, to name only a small fraction. References to current affairs range from Planned Parenthood and the Occupy Wall Street movement in the United States to the telecommunications scam and the 2008 terror attack against Bombay’s Taj Mahal Hotel in India. People often appear and disappear within a few lines, but are given their own histories and eccentricities. They are, in René’s words, “minor characters who might not make it past the cutting room floor.” These people, like some of their dialogues and many of the allusions, might at times seem a tad gratuitous. The long, packed, meandering sentences can feel overwhelming. But, then, so is New York. Together, the obviously significant and the apparently insignificant help create the teeming, chaotic world of the city to which the book is a tribute of sorts. The novel can be read as a chronicle of America in recent years, leading up to the present, troubled, Presidency. But that is only a part of it. At the heart lies a page-turner that is the stuff of blockbusters. There’s something breathtaking about the combination of contemporary events that we have all witnessed and are part of even now, and the gripping story of crime and passion, all narrated in such baroque prose. Much suspense is created through René’s laments as he recollects events of the past eight years. Statements such as “it concerned all of us less than it should have,” and “I should have known there would be trouble,” suggest impending doom. Always, looming over us is the premonition of tragedy. “What would it mean,” René ponders, “if the Joker became the King?” The innocence, of both the Gardens and of Obama’s inauguration in 2009, cannot be sustained. This is the tale of a dysfunctional family within a dysfunctional nation, both hurtling toward disaster. At times it may be horrifying to watch, but it is impossible to look away.